As well as one way donations, the Warp It system also facilitates the loaning or rental of items. 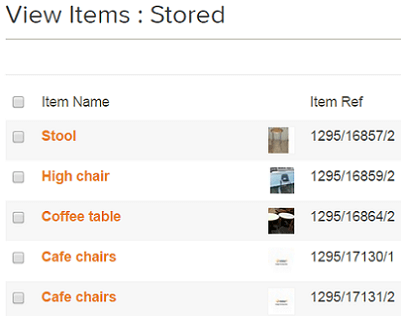 Think of it as a room booking system but for assets, equipment and any common items. The loan facility is well used for items that are common in each office but are used infrequently, such as laminators, binders, fans etc. The loan feature is used extensively for high value, low use equipment like sport apparatus and laboratory kit- especially between schools and labs. 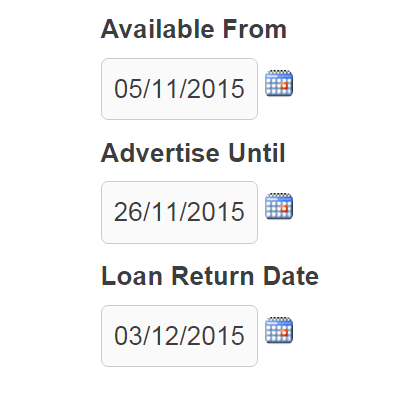 The loan feature can also be used to book out items from a store, such as laptops, safety equipment and vehicles etc. The loan feature can also be used by staff who have a stock of equipment and traditionally book it out over email like table clothes, a frame, advertising boards, tools etc. 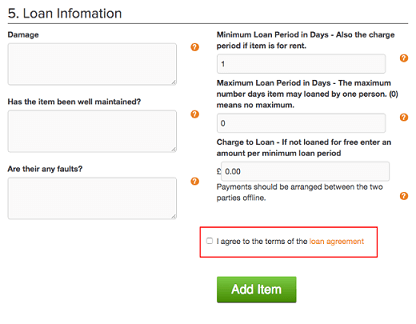 In the same method as standard donations there are guidelines to loans and Terms & Conditions. Organisations can customise this agreement for their own purposes. 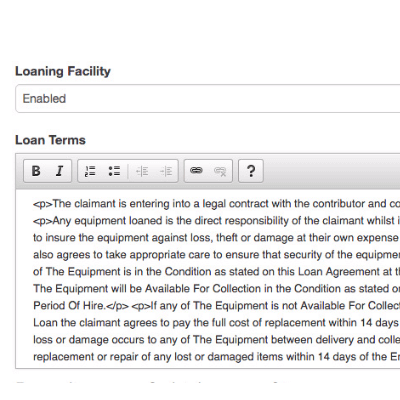 To read in detail about loaning and renting items using Warp It please see here. Very easy and efficient to use. Got a few items off this site and found it very useful for my work area. Any service which allows disposal of items to people who can use them is worthy of 10 stars. One mans' junk is another mans treasure definitely applies!